Residents of Nevada who do not yet have a will or trust are most likely at least aware of the value of these documents. However, a newer aspect of estate planning is growing rapidly in importance. It’s one that some individuals may not yet have given much thought: digital assets. As people’s online existence becomes an increasingly large part of their everyday lives, so too does the need to plan for these issues after death. When an individual fails to plan for digital asset management after death, their family may find it almost impossible to gain access to critical information they may need from online accounts. Federal privacy laws mean that most internet companies will not allow access to these accounts unless the individual took steps beforehand and planned accordingly. While some sites have specific features allowing individuals to handle these situations, they still require advance planning. A wise solution to circumventing potential post-mortem digital asset hassles is to institute a digital estate plan. The first step in the process is the creation of an inventory of all financial, purchase and even social accounts — including details on how to access them. This could include everything from online insurance and credit card accounts to emails and blogs, along with information needed to log in, such as usernames and passwords. 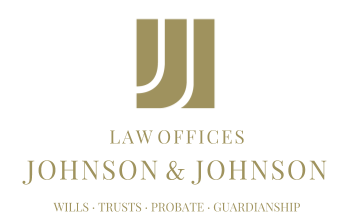 Once this information is compiled, a Nevada estate planning attorney can help store it, or offer advice on other secure storage methods such as a safety deposit box or an organization that specializes in safeguarding data storage. A lawyer will also be able to offer insight into designating a “digital executor,” a trustworthy and technically competent individual named within the will who will be granted access to the locations of important online information and all necessary passwords. An estate planning attorney can ensure that the wording surrounding these stipulations is correct and in accordance with the law.